The Manitoba government wants to give hospital security guards the power to detain violent individuals. Safety officers could detain people when violence breaks out, Justice Minister says. 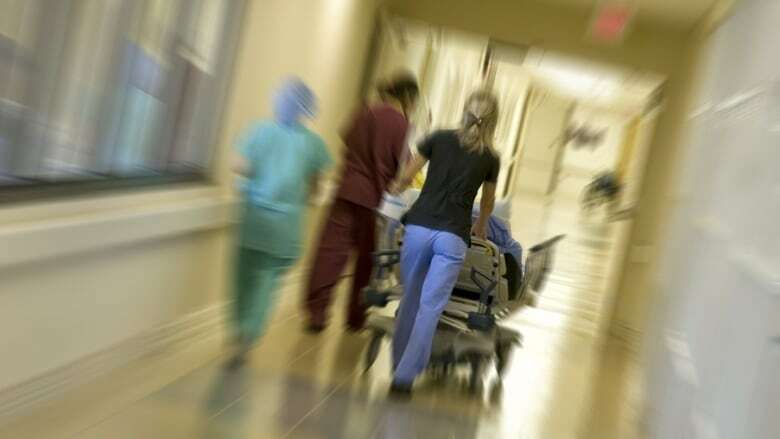 In response to the rise of violence at health-care facilities, the province introduced a bill Monday that would provide security guards with the authority to enforce provincial laws when the security of people and property are at risk. Justice Minister Cliff Cullen said he wants detainment to be among the responsibilities for these empowered security guards, who would be described as institutional safety officers. Their other duties would be determined through consultation, as well as the type of training, uniforms and equipment they receive, Cullen said. "Public safety is paramount and that's why we want to make sure that we have individuals with the authority necessary and the training to deal with those respective situations," he said. He hopes the move will leave police officers on the street, rather than in hospital. The province described these safety officers as having similar duties to community safety officers and First Nations safety officers. "The role of an institutional safety officer is built on what we've heard from health providers and others about improvements that can be made that benefit patients, visitors and staff," Health Minister Cameron Friesen said in a news release. Security guards, some who have been assaulted, currently deal with "unclear powers that limit their ability to act in certain situations, Cullen said. He explained that post-secondary institutions and other government facilities, such as liquor stores, could also include safety officers as part of their security personnel. The bill's introduction comes the same day the province announced a review of the security facilities at each health-care facility, also because of worsening violence. The province also introduced five other bills Monday at the Manitoba Legislature. If the legislation passes, small beer vendors in rural communities could sell cider and spirit-based coolers and provincial inspectors could enforce the possession limit of no more than 30 grams of non-medical cannabis. Other bills would double the penalty to $500,000 against businesses blamed for serious workplace infractions and make companies and unions mired in bargaining processes to hire their own conciliator to resolve disputes, which was previously a provincial expense. A red tape reduction bill includes the elimination of a retail quirk where shops are open on Sunday, July 1 — the actual holiday — but must close on July 2, the observance date for Canada Day every 11 years. The wonky scenario last happened in 2018.